Struggling with an addiction can be a very difficult situation. Supplements, remedies and other resources that can provide recovering addicts with the means to more effectively manage their symptoms may play an important role in the process of withdrawal and may even be of potential benefit in terms of achieving a more successful and sustainable long-term recovery. Natural supplements that can assist in opiate-recovery by ensuring a more successful and less stressful withdrawal process may be an important resource, one well worth your consideration should you or a loved one be struggling to cure addiction. 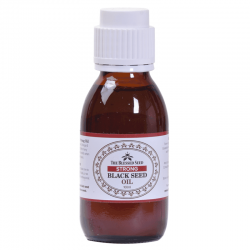 Black seed is all natural dietary supplement that is harvested from naturally grown plants and has been used to treat a variety of ailments for thousands of years. 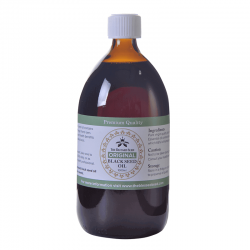 While black seed was historically used to address headaches and other minor ailments, it is still in use today to addresses blood pressure issues, assist in cancer treatment and even for asthma, bronchitis and other pulmonary ailments. With the potential to provide so many benefits, making use of black seed to assist with any addiction treatment effort to more effectively manage withdrawal symptoms may prove to be very beneficial. Initial studies have shown that black seed can be a beneficial resource for those who are suffering from an opiate addiction. 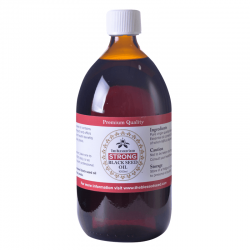 Taking advantage of the benefits this supplement may be able to provide you with can be an important part of any effort to cure addiction and begin the recovery process. Supplements, medications and other resources that may ease withdrawal processes or benefit those who are struggling to conquer their addiction may provide a much-needed measure of assistance. Exploring black seed as a possible resource may not be a effort that patients may wish to overlook. The withdrawal process from an opiate addiction can put considerable stress on the human body. The pain, discomfort, and difficulty of this stage of the recovery process can be a considerable obstacle for those who are attempting to get over a drug addiction. While the serious and even potentially fatal symptoms of an opiate withdrawal can only be managed safely with professional medical assistance, supplements and herbal remedies may still play an important role. Learning more about how black seed is able to help with this process may provide you with an additional resource for easing the process and managing your symptoms more effectively. Once the withdrawal process has been completed, issues related to long-term recovery will need to be addressed. 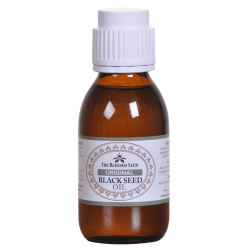 Black seed has been shown to be effective in any effort to create a healthier and more sustainable lifestyle, and may offer a number of significant advantages for those who are attempting to stay clean long after the pain and discomfort of the withdrawal process has been surmounted. Black seed could play an important role in managing your recovery and ensuring that you do not suffer a relapse. Black seed is a good source of calcium, potassium, iron, and sodium, as well as other essential minerals and amino acids. Creating and maintaining a balanced diet is a cornerstone of a healthy lifestyle. Making black seed, or a black seed supplement part of your diet can ensure that your body is not being deprived of key nutrients, and will have the raw materials and building blocks needed to achieve a greater level of fitness. Long-term addiction treatment efforts that discount the value of a healthy diet and lifestyle may fail to provide patients with critical resources and benefits. If you, or a family member or loved one, is suffering from an addition, it is important to know that help is available. Herbal supplements, professional medical care and long-term support and services can all play a role in achieving greater success in your efforts to conquer a drug addiction. With the right resources and assistance, it will be possible to enjoy a speedier and more effective recovery as well as the long-term health, fitness and happiness that sobriety can bring. Learning more about such resources may be an essential step in the recovery process.